Confession. I am sitting here eating the pasta while writing this post 🙂 Soooo good! 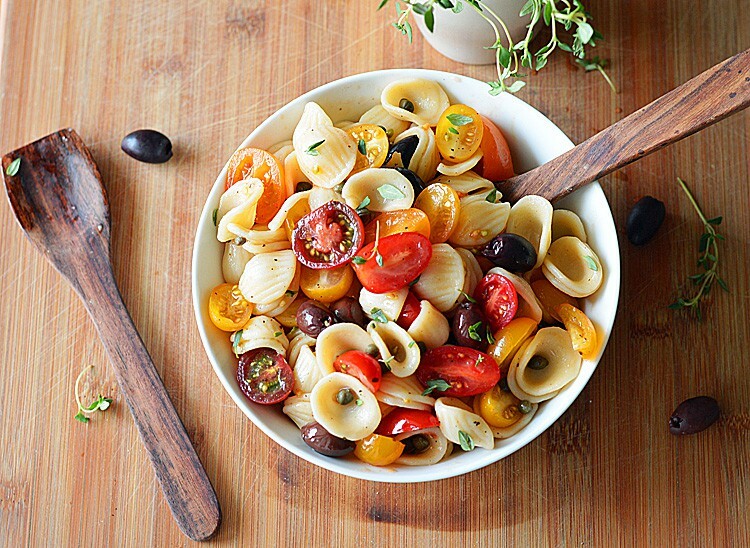 Pasta, Kalamata olives, tomatos, capers, a light olive oil dressing and a few sprigs of thyme. Simple … yet delicious. 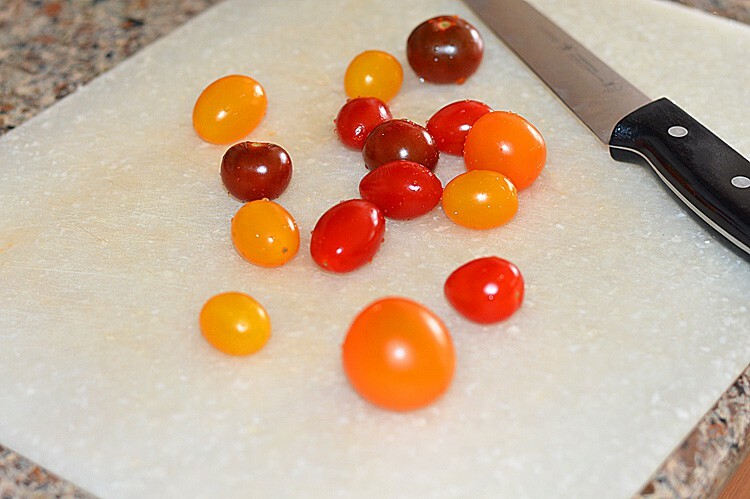 Cherry tomatos are super sweet and abundantly available right now. If you are lucky, you’ll be able to find these multi-colored beauties. Ripe and delicious! But if you can’t find them, just chop up some Roma tomatos or whatever tomato is in season for you. It’s more important that they be ripe and sweet. Just a touch of olive oil, garlic, salt, pepper and a few thyme leaves round out the dish. It’s just as good warm as it is room temperature. A perfect picnic salad. You could always use black or Spanish olives in a pinch, but the Kalamata olives have a much stronger taste. Cook the pasta to package instructions. 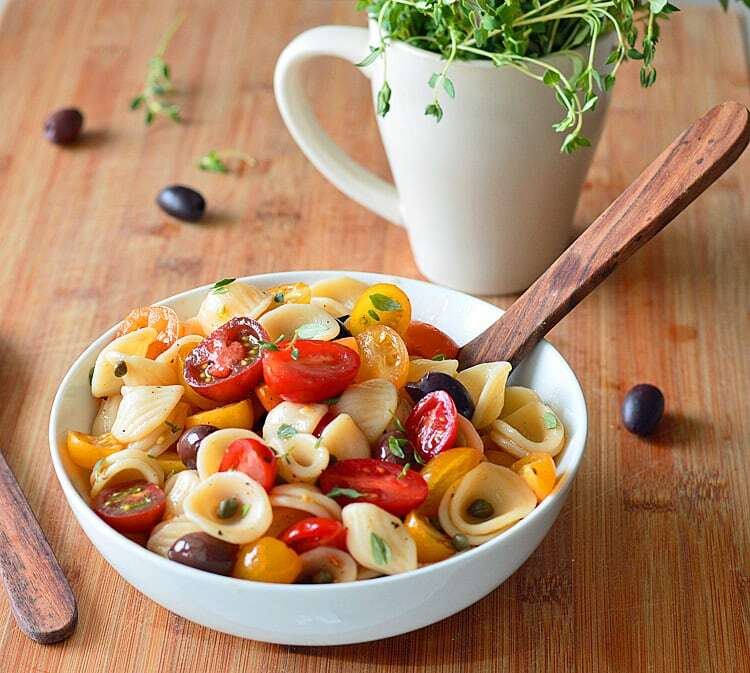 You could use any shape of pasta, but something heartier that can stand up to the other ingredients. Combine all ingredients together and serve warm or at room temperature. Garnish with a few more thyme leaves, if desired. This looks fantastic! 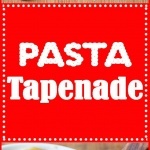 Such a neat spin on tapenade! I will definitely have to give it a try! You know I LOVE cherry tomatoes. 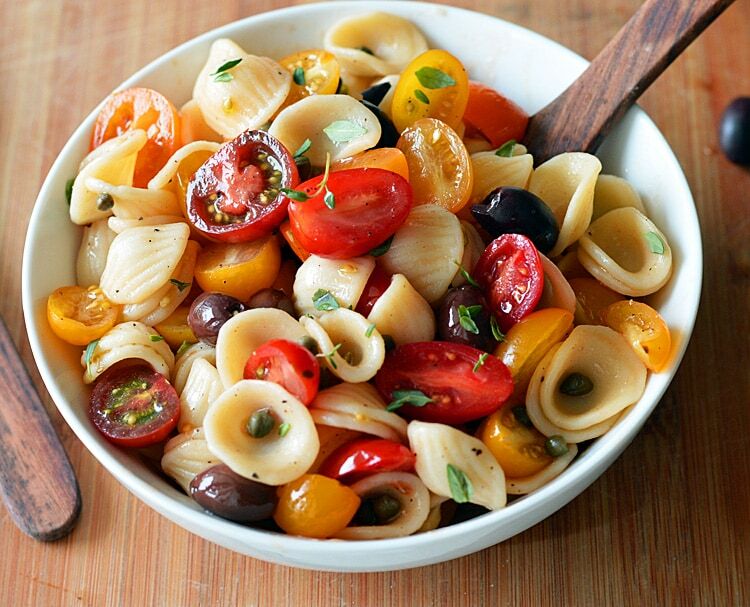 This pasta has my name written all over it! How delicious does that look! Can’t wait to try it.